Do you have plans to carve pumpkins this weekend? Do you do it as a family or with a big group, a neighborhood, or at a Halloween party? 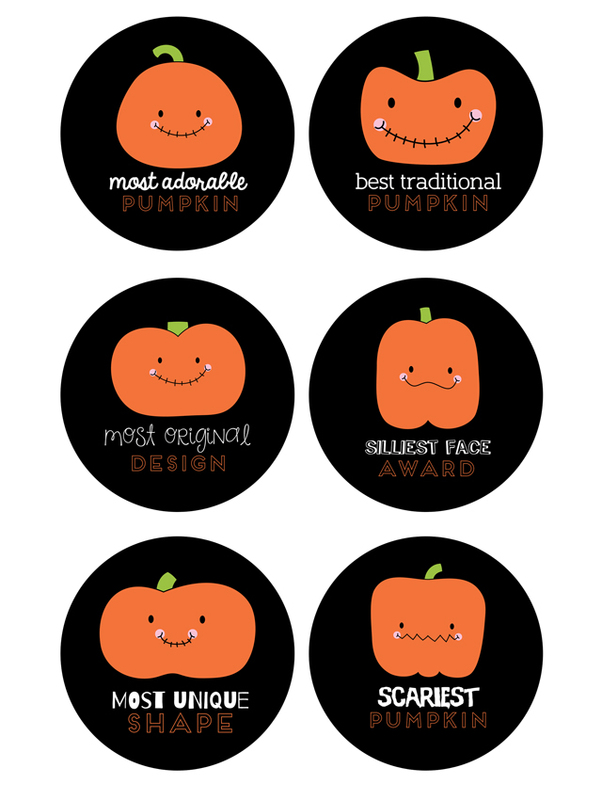 No matter how big or small your pumpkin carving traditions may be, we have some adorable awards for you to print and give out to the best of the best. 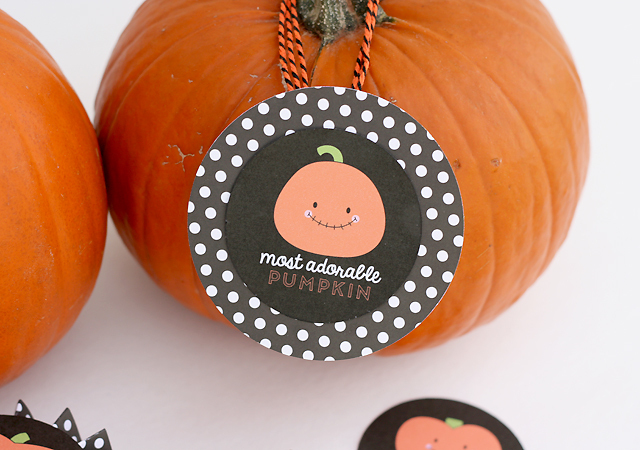 These cute pumpkins are just waiting to be placed on the winners of your carving contest. funny, or outright sarcastic in your award titles. 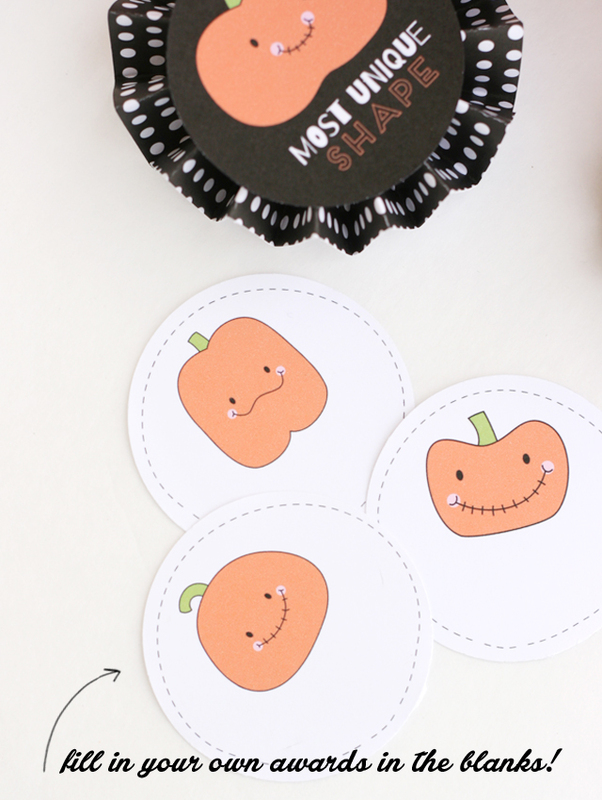 I punched these out with my favorite circle punch and added them to paper medallions and a larger punched circle. 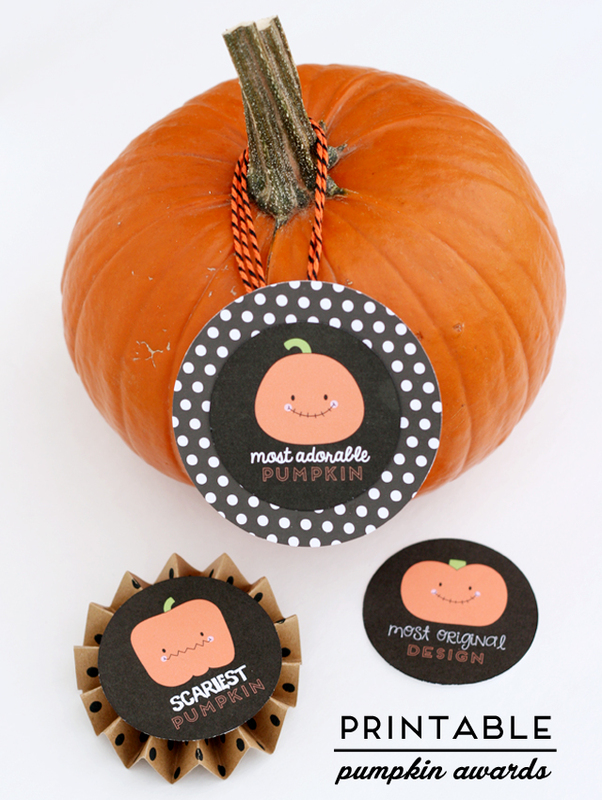 You could also add them to a prize, candy bar, or tape them right to the pumpkin! Happy carving! Now I’m in the mood to do ours! 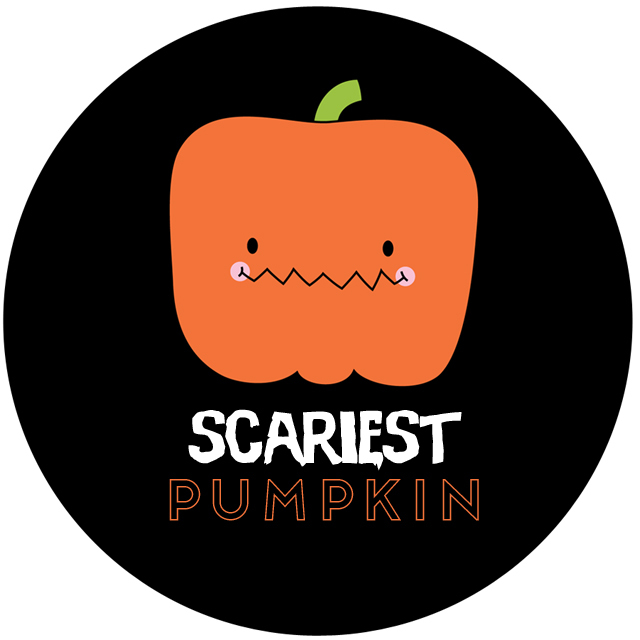 And of course watch the Great Pumpkin (Charlie Brown) – it’s tradition! you the best! Thank you! What a fun idea! and cute graphics too!